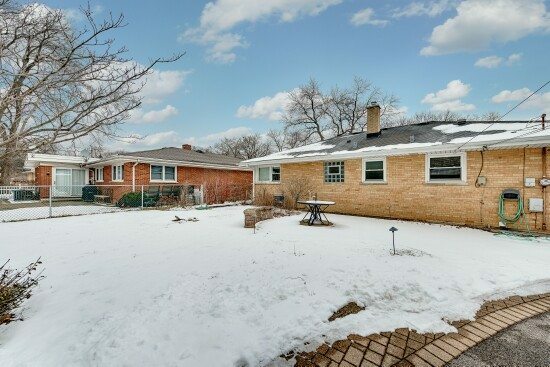 Move right in to this meticulously maintained 4 bedroom brick ranch located on a quiet street. 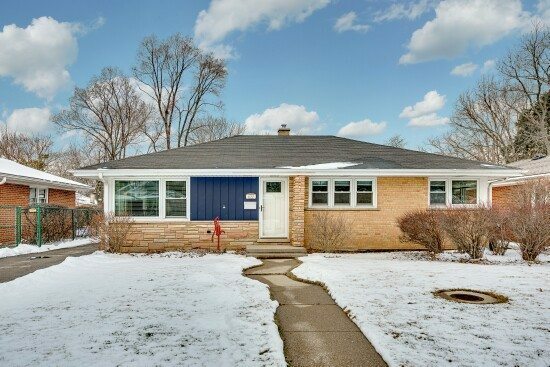 Many upgrades including gleaming hardwood floors, a newer roof and driveway, new sump pump, down spouts, exterior doors, heater, a/c compressor, water heater, newer high efficiency windows and a flood control system with flap gate make this the perfect low maintenance home. 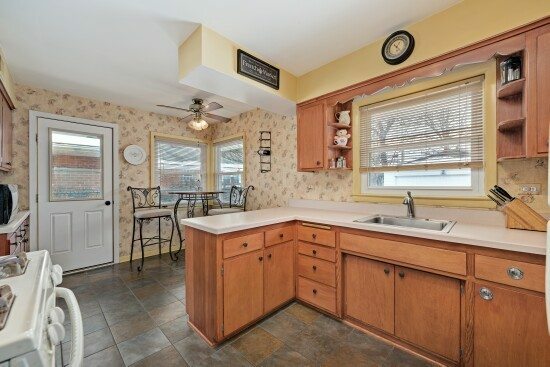 You’ll love cooking in the country style kitchen that provides good counter space and plenty of cabinets along with an eating area. 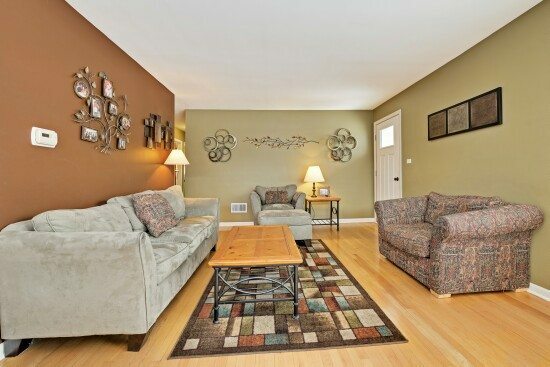 Oversized finished basement has a huge recreation room, a bedroom and tons of storage space. 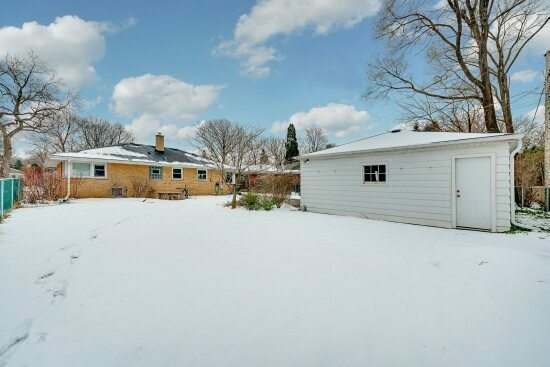 Fenced yard is professionally landscaped and provides a paver patio with a seat wall. 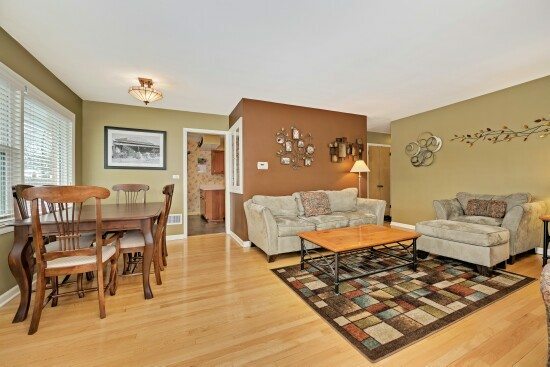 Easy walk to the Dee Road Metra Station and the park and Recreation Center. 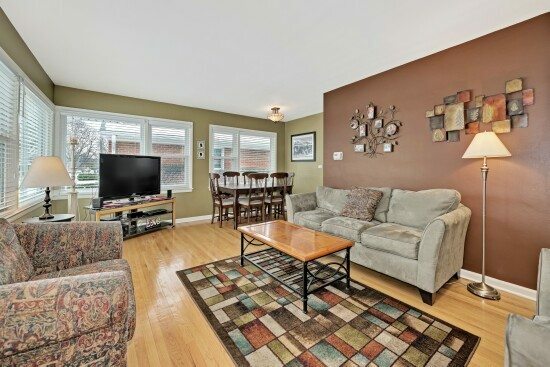 The large Living Room has gleaming hardwood floors and is the center piece of this lovely home. 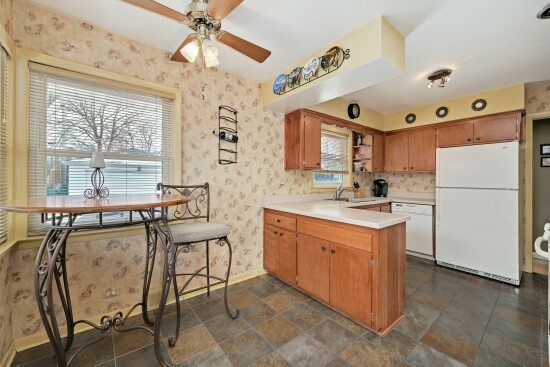 The living room / dining room are adjacent to the kitchen for easy entertaining. 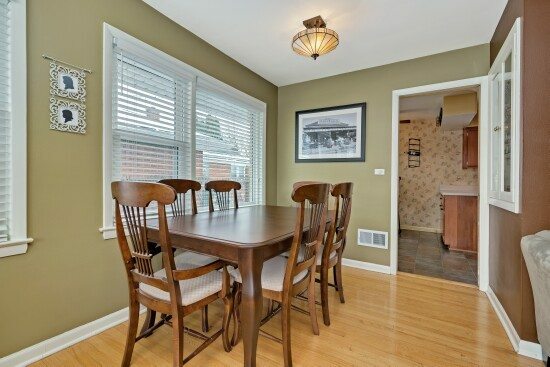 This versatile dining room provides flexible space for larger or smaller gatherings. 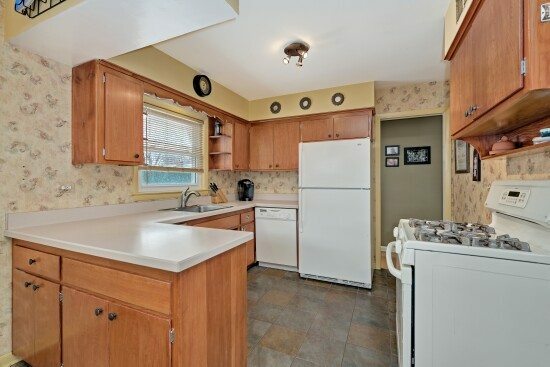 This country style kitchen has beautiful ceramic tile floors, good counter space and plenty of cabinets. 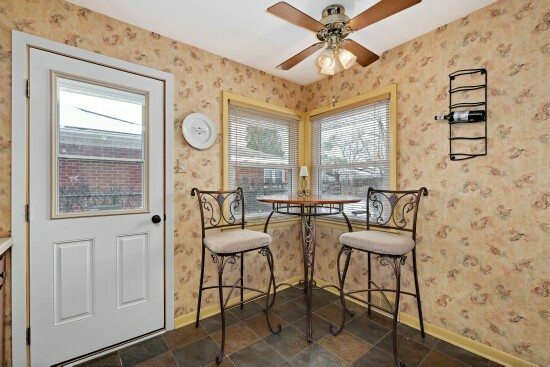 Cozy eating area is great for morning coffee or quick informal meals. 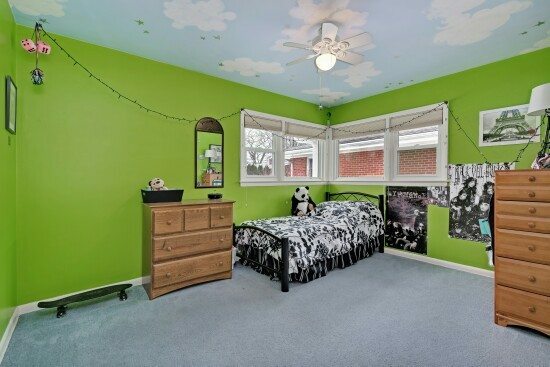 Bright master bedroom features carpeting, good closet space and a ceiling fan. 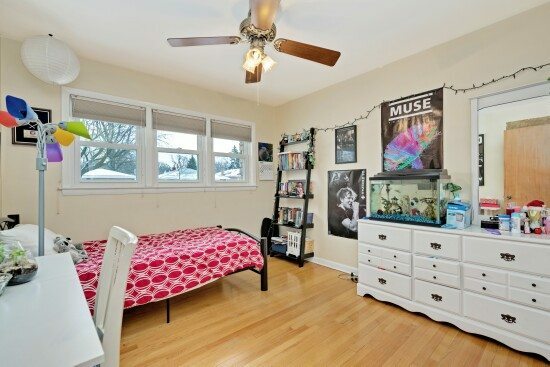 Good sized bright room with carpeting, good closet space and a ceiling fan. This bedroom boasts gorgeous hardwood floors. 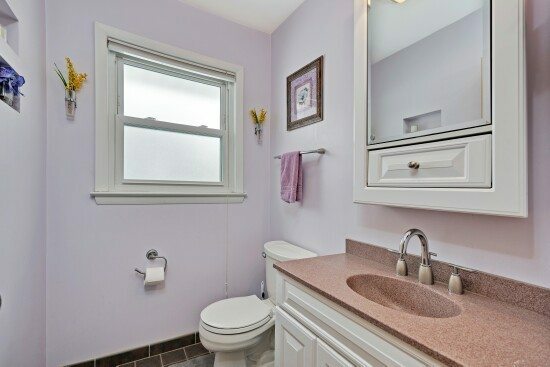 Full Bathroom located adjacent to the bedrooms has a newer vanity and shower/tub. 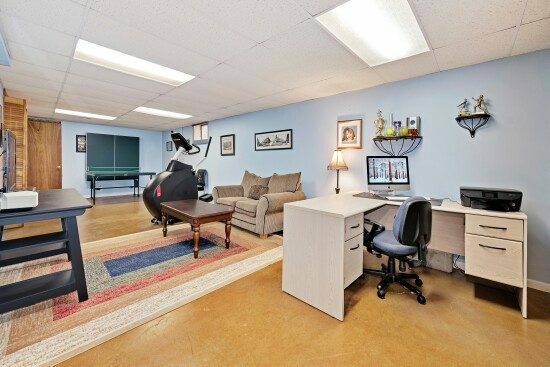 Enormous recreation room in the finished basement offers great flexibility. 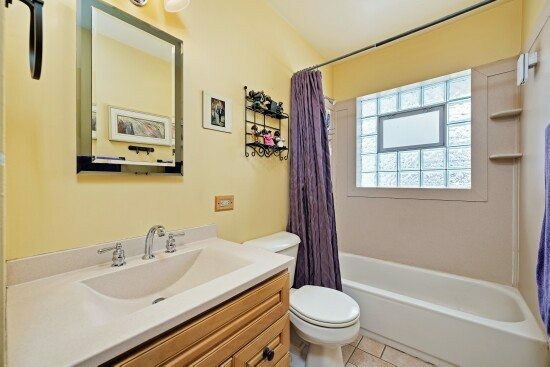 This 4th bedroom is located in the basement and could easily be used for an office or exercise room. 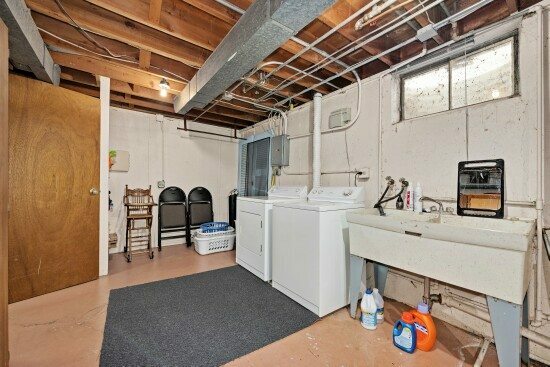 Large, clean laundry room is located in the basement. Nice size professionally landscaped backyard provides a paver patio with a seat wall. 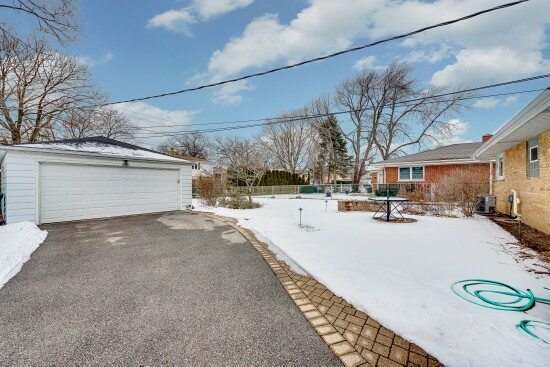 Well cared for.2 car detached garage and newer asphalt driveway provide for ample parking.